Reunion Tshirts are a great way to show your spirit. Reunion T-shirts are a great way to show your affliation to your favorite activity, group or event. Represent your class, school, family, fraternity, sorority or other group with custom designed reunion t-shirts. We can help you customize your Reunion T-shirts for upcoming events, it's simple when working with Creative Advertising USA T-shirts. Your Reunion T-shirts will be admired by everyone who sees them. Let your imagination go wild when you are designing Reunion t-shirts. 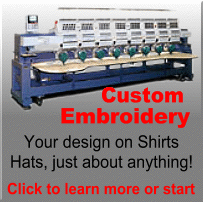 Since 1980, Creative Advertising USA has been a supplier of screen printing, embroidery, promtoional products and business printing. 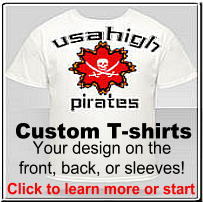 We were one of the first custom t-shirt printing companies to achieve success on the internet. We take our job very serious and we have 22 quality control steps every order must pass before we ship it out.